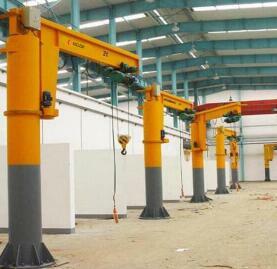 Single girder gantry crane is a kind of track traveling midlight type crane, used together with CD, MD, HC model electrical hoist, according to the shape, it also divided into MH type and MHLP type gantry crane. 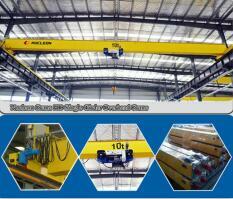 MH type single girder gantry crane has box type and truss type, the former have good techniques and easy fabrication, the latter is light in dead weight and strong in wind resistance. 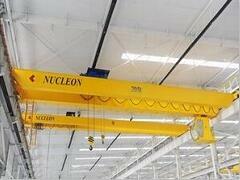 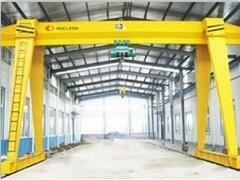 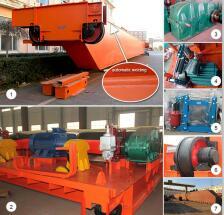 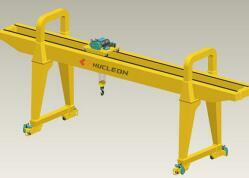 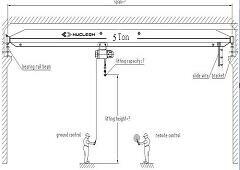 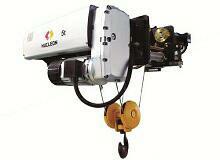 For different usage, MH gantry crane also has cantilever and noncantilever gantry crane. 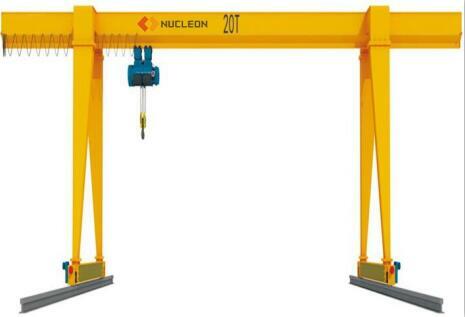 If have cantilevers, the crane can load the goods to the crane edge through the supporting legs, which is very convenient and high efficiency. 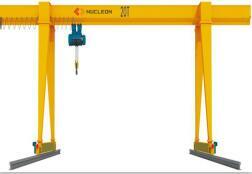 MHLP type single girder gantry crane is Ltype partial hanging gantry crane, with small size and light duty, special for putting steel pipes, girders, or other long materials into the special place, widely used in steel plant, concrete girder yard. 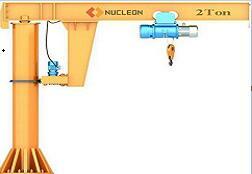 Working temperature is -20°C to + 50°C.